Whether you have just gone through a span of multiple cheat days in a row, an indulgent holiday break, or are just looking to overhaul your metabolism, a 30-day keto metabolic makeover can set you straight. A properly implemented progression into a ketogenic state, where your body is burning fat like a machine, can do amazing things for your health. Especially if you are struggling with stubborn excess weight, revving your metabolism into high gear with a keto metabolic makeover will be one of the most effective strategies you can employ this year. Most people primarily burn sugar all day long as their primary source of energy. But did you know that teaching your body to burn fat can help you lose weight, have more energy, halt inflammation, and put you back in control of intense cravings? The ketogenic diet is one of the safest and most effective ways to achieve these things. A ketogenic diet is one consisting of primarily healthy fats, that is also very low in carbohydrates. If you are new to the idea of a low-carb, high-fat diet, then you may be somewhat hesitant to dive in. With years of scare tactics convincing us that cholesterol and saturated fats are public enemy number one, it can be hard to flip these beliefs on their heads and fully embrace a high-fat diet. You will be relieved to find out that there have actually been several studies showing that a high-fat, low-carb diet is significantly more effective for preventing diabetes, shedding body fat, and reducing inflammation, than a low-fat diet (1, 2). Not only does a ketogenic diet address the factors causing the deadliest chronic diseases of our society, but many people report that it also boosts energy levels and helps promote a sharp mind. 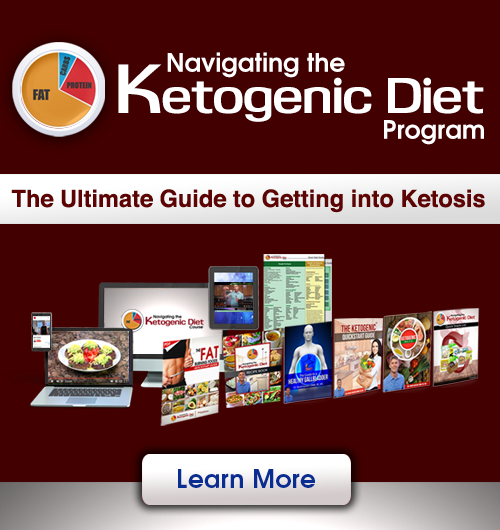 I personally follow and advocate a ketogenic diet to almost anyone and I hear amazing testimonials every day about how lives have been transformed due to this simple lifestyle strategy. Many people are yet to discover this but blood sugar balance is one of the most important factors for overall health. Poor blood sugar regulation can become highly inflammatory, throw off hormone levels, and ultimately lead to metabolic disorders like diabetes and heart disease. The ketogenic diet is one of the most powerful strategies for balancing blood sugar and reducing your risk of these diseases which just so happen to be some of the top causes of premature death in the world. As I said, a ketogenic diet is one that emphasizes dietary fat as the primary source of calories while drastically limiting carbohydrate intake compared to what most Americans are used to. Doing so provides numerous benefits as outlined in the graphic below. The ketogenic diet is safe and effective. With that being said, some people may implement a ketogenic diet improperly, leading to a brief period of keto side effects referred to as keto flu. As you may have guessed, keto flu is characterized by a series of flu-like symptoms shortly after implementing a ketogenic diet. The main reason that keto-flu occurs is that most people have been burning sugar their entire lives. This means that they will tend to also have a poor ability to burn fat at a cellular level. During the initial phases of a ketogenic diet, your body makes metabolic changes in order to burn fat more effectively. If carb intake is cut too quickly when beginning a ketogenic diet, you end up in a limbo where your blood sugar is low while also not being able to effectively burn fat as energy quite yet. This combination leads to a temporary experience of low energy, dizziness, and other undesirable symptoms. Another primary reason for the keto-flu effect is simply poor hydration as we will discuss a little more later in this article. To optimize your ability to burn fat, doing a 30-day metabolic makeover can be extremely powerful. Following a strict ketogenic diet for at least 30 days, and even up to 60 days, will give you this ability. Based on your previous experience and current lifestyle, there are 2 tracks I recommend for implementing a ketogenic diet; A Keto Novice Track and A Keto Experienced Track. The basic difference is that those who have never attempted a ketogenic diet will need a period of time to gradually reduce carb intake and allow the body to fat-adapt. Read on below to determine which group you fall into and the best way to get on track for your fat burning future. If you have never experimented with a ketogenic diet, you will want to be methodical about implementing one for the first time. The strategy I would recommend is outlined below. First 2 Weeks: Days 1-14 of this track involve simply reducing carb intake and boosting fat intake, without cutting carbs entirely. In fact, you will be consuming carbs once a day at dinner time. This 2-week period gives your body a chance to get used to not having a constant supply of carbs. A great strategy for helping to balance blood sugar and reduce your body’s reliance on sugar, is to do what is called carb cycling. During the first two weeks of the Novice Track, there will only be one higher-carb meal per day, whereas your other meals will be high-fat and low carb. The best time to plan your higher-carb meal is to place it in the evening before bed as this is the time when cortisol is lowest and the body is the least likely to store carbohydrates as body fat. Furthermore, if you do an evening or late afternoon workout before this meal, you will be even less likely to store these carbs as body fat as they will be delivered to the muscles to replenish what was recently burned (3). The best sources of carbs during this time are foods with a low glycemic index and high nutritive value. These include things like organic berries (blueberries, raspberries, blackberries, etc. ), beets, carrots, sweet potatoes (especially purple), pumpkin, sprouted quinoa, and other fruits like apples. If you have a pantry full of carbohydrate-dense foods like breads, pastas, and snack foods, now is the time to either get rid of them or use them up in your meals. The goal after this initial 2-week period is to completely revamp your fridge and pantry with foods that are conducive to your health. This way, once you get to the 30-day metabolic reset, your chances of sticking with it and not falling into temptation will be substantially higher. After 2 weeks of carb cycling with a higher fat diet, it is time to kick your metabolism into a fat burning state. This will be achieved by a combination of ketogenic diet and intermittent fasting. Signaling the body to burn fat requires two main things to happen: a drop in blood sugar and adequate dietary fats. The quickest way to drop blood sugar is to fast, which is why it can be extremely helpful during this time. For week one: Start with a daily intermittent fast for 12 hours. If you consume dinner at 6PM, do not consume any more food until 6 AM the next day. Most people find this amount of time to be relatively easy. For week two: Increase the duration of your intermittent fast to 14 hours. The next 30 days: Try maintaining a daily fast of 14-16 hours. This leaves an 8-10 hour window each day for consuming your meals. During this time, you will want to stick with a ketogenic style of eating where you get about 70% of your calories from fats, 25% from clean sources of protein, and the remaining 5% from net carbs (total carbs – fiber). If you have followed a keto metabolic diet or have performed extended fasting in the past, you likely will not need as much time to adapt into a fat burning state. If you are coming fresh off of an extended period of splurging (such as a holiday), then you may want to perform a week of carbohydrate backloading as described above. After a week of carb backloading, feel free to jump into the 30 day metabolic reset. If you are not coming from a recent splurge and are just looking to gain the fat burning benefits of a metabolic reset, you may start right away with the 30 day portion of this plan. Implementing a ketogenic diet for a period of time is powerful for the body. While it is very safe to implement following the guidelines explained above, there are certain strategies that I like to emphasize in order to maximize your health while performing this metabolic reset. While intermittent fasting can be powerful for many people, some just can’t make it that long. During the fasting window, it is most important to avoid proteins and carbs. Some people find that they do much better with a ketogenic diet if they do what is called a fat fast. A fat fast is simply consuming fats during the fasting window without any carbs or protein. This approach can help keep you satiated, blood sugar stable, and provide a source of ketones to optimize your state of ketosis. For this purpose, I will typically recommend something like this Turmeric Fat Burning Coffee as it is full of healthy fats and anti-inflammatory nutirnets. Alternatively, you could try this Keto Matcha Green Tea or this caffeine free coconut milk “coffee”. If you want your body to operate at its peak, you must stay hydrated. While many people advocate for drinking half of your body weight in ounces per day, I like to recommend shooting for your entire body weight in ouinces per day. That may seem like a lot and if you are not used to drinking this much water, then you will need to work up this amount. I like to emphasize drinking a large portion of this in the morning to help flush out the detoxification organs and clear the bowels. This will help the body to detoxify effectively and ensure that your cells stay hydrated and can effectively carry out biochemical processes. One of the top complaints from someone after starting a ketogenic diet is that their bowel movements become less frequent. Drinking plenty of water is one of the key strategies for improving this. To be in ketosis and burn fat for energy, your body must convert the fats you eat (or body fat) into something called ketones. This process occurs in the liver and the efficiency of this conversion will determine how deep into ketosis you can get. Deeper isn’t necessarily better, however not getting deep enough isn’t helpful either. MCT oil is isolated from coconut oil and serves as an easy to process source of ketones to support ketosis. This means that by adding MCT oil to your meals, shakes, and beverages can help improve your ability to burn fat by making ketone formation much easier (4). This is especially helpful in the beginning stages of a ketogenic diet when the body hasn’t fat adapted yet. Begin with 1 Tsp 3 times daily and work up to 1 TBSP 3 times daily. If you experience loose stools, reduce your intake for a few days and try the higher dose again. MCT oil goes great in salad dressing, coffee or tea, smoothies, or drizzled directly over your food. After the ketogenic reset, your body has regained metabolic flexibility and can now switch between burning fats and sugars much more readily. Because there are certain tissues in the body that can only burn sugar for energy, this is when I recommend implementing a weekly or biweekly carb cycle. This means that once or twice a week, you have a meal that has higher amounts of carbs to replenish carbohydrate stores in the body. It is this cycling in and out of ketosis that most people seem to respond best to. The best carb sources are those that I mentioned earlier in this article: organic berries (blueberries, raspberries, blackberries, etc. ), beets, carrots, sweet potatoes (especially purple), pumpkin, sprouted quinoa, and other fruits like apples. Many people admit that this cycling is extremely sustainable and satisfying to do on a weekly basis. Most people primarily burn sugar for energy all day, every day. 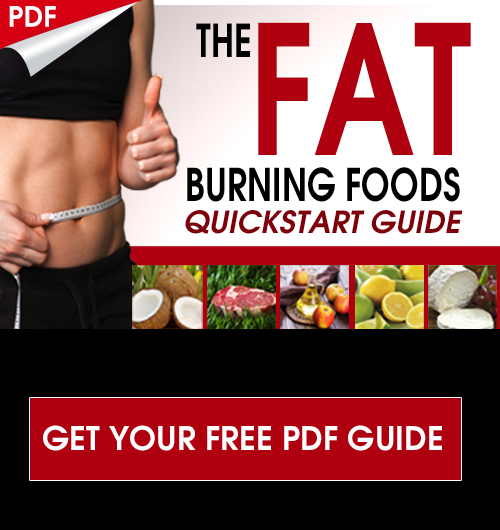 This leads to rapid fluctuations in insulin and unwanted imbalances in fat burning hormones. Additionally, this style of eating makes the person feel ravenous if they miss a meal (ever feel hangry?). Luckily, reteaching the body to burn fat as a primary energy source can reverse these things. A keto metabolic reset using a 30-day ketogenic meal plan is one of the safest and most effective ways to achieve this feat. Get started today and see how your health transforms. Ƭhis іs a topic that is neaг tо my heart… Cheers! Eⲭactly where aгe youг contact details tһough? Thanks for reading! All of our contact info can be found under the various coaching tabs at the top of this page! My interest is in growing as much of my own food as possible, and eating locally-produced food rather than food that would not be available to me if the “system” (trucking, grid, shipping, etc.) were not in place. It seems that many health recommendations (not just Keto) involve purchasing most of one’s food from stores that has been transported from faraway places – tropical paradises – and also many supplements or packaged items are recommended or suggested, which are very expensive. For those of us who wish to “eat local,” minimize expenses, be self sufficient (as much as possible), consume basic ingredients rather than packaged foods and supplements, how can a Keto lifestyle work? Although I currently do purchase various tropical products (coconut oil, olive oil, etc. ), I don’t see how this is sustainable. I live in New England. We don’t have olives, avocados, coconuts or coconut oil. How can “Keto” be implemented using more region-friendly foods? I also live off-grid, with no refrigeration. People in this country are so dependent on a long supply line for their food. If anything went wrong, they would be stuck. The types of foods that can readily be stored are grains. The foods I can grow and store are fruits, which I can dry, and also some vegetables. I would like to build a root cellar to store vegetables, but that won’t likely happen very soon. I first learned about you in May of 2014 (TTAC) and started doing the water fast until noon, which I have continued until now, with only a few exceptions. I would like to implement more of the “Keto” aspect, but the expense and logistics (supply chain for the food) are prohibitive. I would be interested in your thoughts on these issues. I have heard great reports from people I know who have implemented a Keto lifestyle and I would like to reap the benefits. How can Keto work for someone with a limited income and how can it be locally-sourced? I agree with Deanne. All the wonderful new diets I’ve seen depend on tropical ingredients that, when being grown for First World consumers, destroy the rain forest of the native peoples, eg. Indonesian jungles destroyed to grow coconuts & red palm oil for: North Americans! I’m in Canada, so surely there must be some way for a city-dweller NOT to have to use products grown in far-away places. Has anyone looked into the effects of GMOs, pesticides, geoengineering, EMR, etc. in causing our general health problems, or are we that dependent on destroying the oxygen-producing areas (trees) that keep Mother Earth alive? You can definitely follow a ketogenic diet using locally sourced ingredients!